The Swiss initiative would go much further than the handful of towns and regions around the world that have already banned all synthetic pesticides. It would also be of greater global significance than the ban imposed by Bhutan in 2013, as Switzerland is the home of the world's biggest pesticide manufacturer, Syngenta. "At the beginning it started rather slowly, but then it gathered a lot of support especially from young people and then it gathered momentum and in the end we had plenty of signatures," said Antoinette Gilson who's with a group of Swiss citizens called future3 that are pushing for the ban. "To not use any pesticides will trigger a complete change in agricultural practices," said Antoinette Gilson. 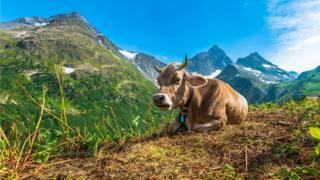 "It might be difficult to go through, but in Switzerland already around 13% of farmers are organic. I talk to a lot of them and I have not met one who has regretted giving up pesticides." "The initiative is too radical and overshoots the goal," said Anna Bozzi from Science Industries Switzerland in a statement. "Plant protection products are indispensable to ward off diseases and pests. A general ban would affect tremendously the yields as well as the quality of the agricultural products in Switzerland. The import ban would thwart supply and drive up prices." "I am convinced that other countries may follow suit," said Prof Edward Mitchell from the University of Neuchâtel. "Switzerland with its direct democracy system is somewhat different from other countries, making such a change perhaps more likely in the short term. "This puts us in a privileged position to act proactively rather than in response to government actions, and with this goes a responsibility to do so. "This is my personal opinion and it is likely that many Swiss citizens also think this."